Michelline Leon, a woman living with HIV/AIDS, poses for a photo with her children in Cange, in central Haiti. 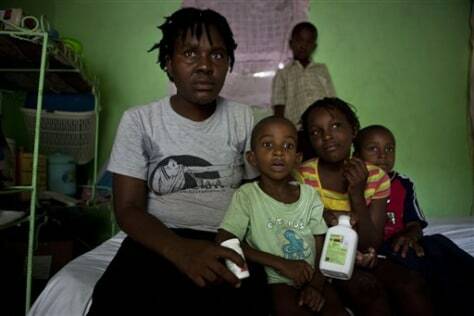 Haitian infection rates dropped from 6.2 percent to 3.1 percent among expectant mothers in the last 15 years. Researchers recently switched to a new methodology that tests all adults, which puts Haiti's official rate at 2.2 percent, according to UNAIDS.